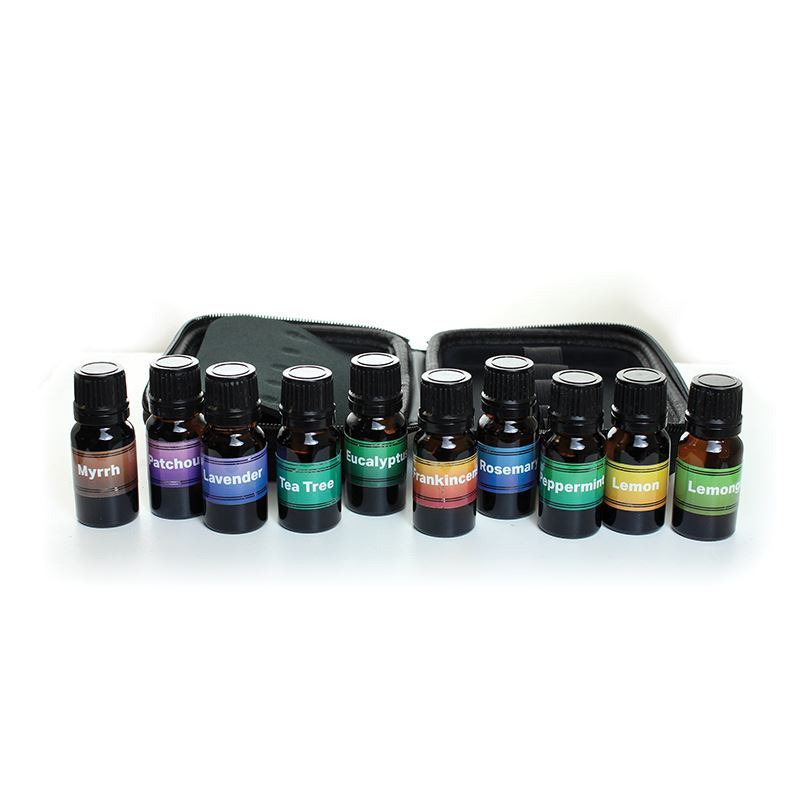 Get a Set of 10 Essential Oils in a hard zippered case. Easy and convenient. Each bottle is 1/3 oz. Case is 6" x 5".